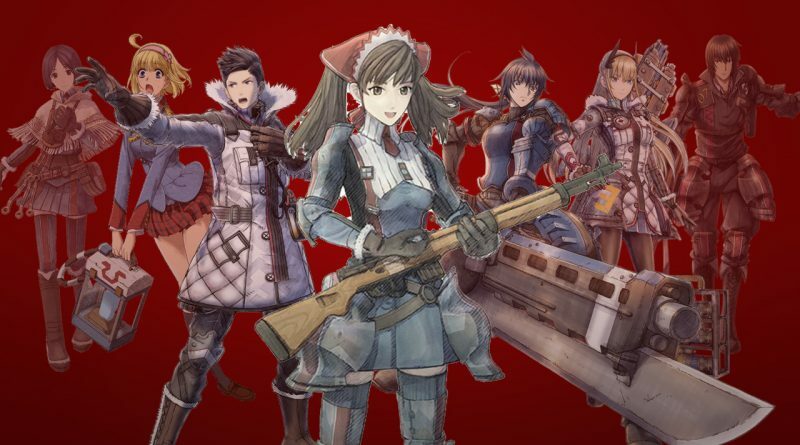 The world of Valkyria Chronicles is more accessible than ever, making it a great time to get into the hybrid strategy franchise. But where should you start? Check out our guide for getting the most out of your time in Europa. This first game puts you in charge of Squad 7, a ragtag militia in a small country stuck between two warring powers. Your random eager volunteers, led by a commander who just happened to have his dad’s big tank in his barn, set out to defy the odds and change the course of the war. The beginning is a very good place to start for this franchise, both because of its introductory narrative and because of just how well the team nailed the gameplay in its first attempt. It’s sprawling, but it’s also easy to pick up. It’s challenging with a few infamous difficulty spikes, but it also walks players through the tactics and gives them the opportunity to build up units before taking them on. It’s great in all of its available versions, including the original PS3, which doesn’t automatically bundle in the (unneeded) add-on content but is otherwise identical. Just like the original, you’re tasked with a team of misfits to assist in the war effort, but this time your squad is a well-supported ranger crew, giving you a lot more in terms of resources and placing you much closer to the heart of the war. This means more weapons, more tanks and all sorts of toys to help you accomplish your tasks, but it’s still very much Valkyria. What makes this year’s VC4 so great is how it lives up to the original game after multiple attempts that, well, didn’t. If you only play one, it’s hard to pick which of these to suggest; this entry is less focused than the original and the narrative pacing could be better, but it makes up for it with sheer content and tons of ways to customize your tactics. If pushed to pick one over the other (and that’s, we suppose, the point of this guide), we’d say play VC1 first, but only because it makes both a bit more accessible and refreshing. The third entry takes players back to the tiny nation of Gallia during the war, this time commanding a group of misfits (surprise!) that are also criminals, serving in this squad instead of facing a sentence. It’s a disavowed group, given the worst assignments and not acknowledged in historical record, a back story conveniently explaining why no one in the first game ever mentions them. If you play those two and enjoy them, your journey then gets a bit more arduous, as you’ll be importing a PSP game. The third entry nailed the tone of the first, while introducing gameplay elements that took advantage of the PSP’s limited map size and generally playing it safe in ways that made sense. A fan translation team did great work on making the game playable for Western audiences (and you can see that here), which is great, because Sega’s only work on the project was releasing an English version of the game’s art book. 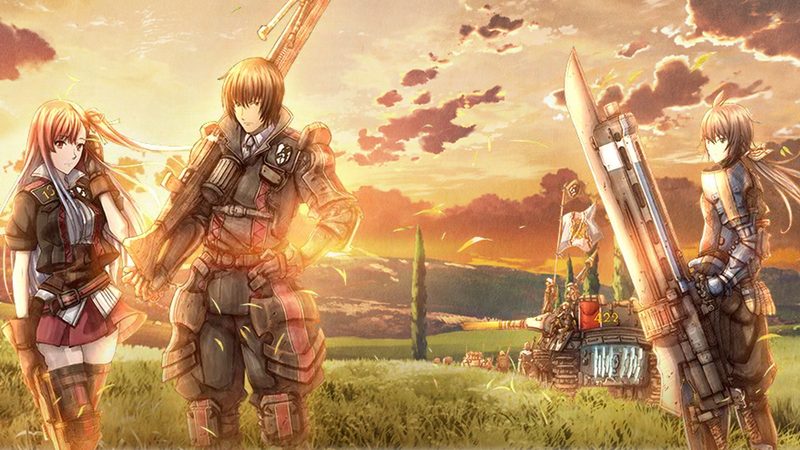 While it’s the weakest Valkyria Chronicles game, it’s also still a Valkyria Chronicles game, and that’s not nothing. This PSP-only entry moves the action to a military school after the war, an obvious play to appeal to the Persona crowd and one that does some strange things to the game’s tone. It also adds a lot of ways to grind through the same patchwork level pieces over and over, doing what it can to deliver more content but definitely at the expense of variety and quality. Even worse, it attempts to add “difficulty” through some artificially brutal enemies that force very specific solutions to battle problems, breaking the improvisational nature of the franchise’s best maps. 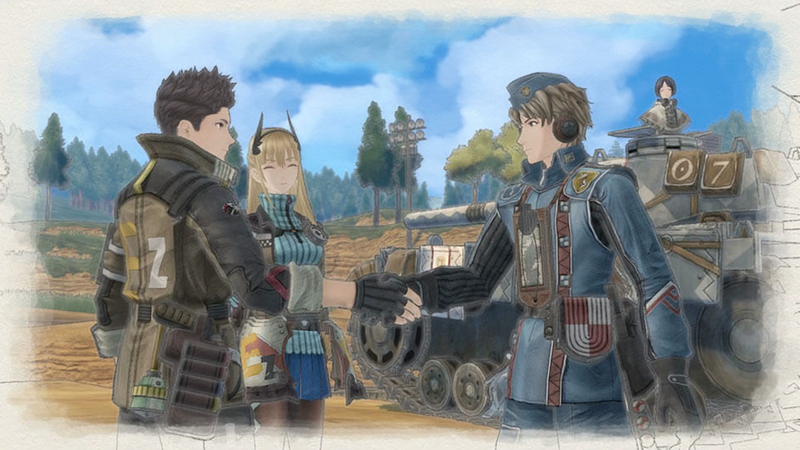 But like we said, it’s Valkyria Chronicles, and it’s officially released in English, too. Do you want to play a card game and also see Valkyria Chronicles characters on those cards? Well you’re in luck! The special standalone set of Force of Will featuring characters from the first three games was released in the West, and as a one-box thing that is actually really affordable to pick up. What you get out of it is really a matter of how much you like the gameplay of Force of Will, which is a solid CCG that isn’t so much for everyone, but the contained nature of this set makes it relatively painless to try. 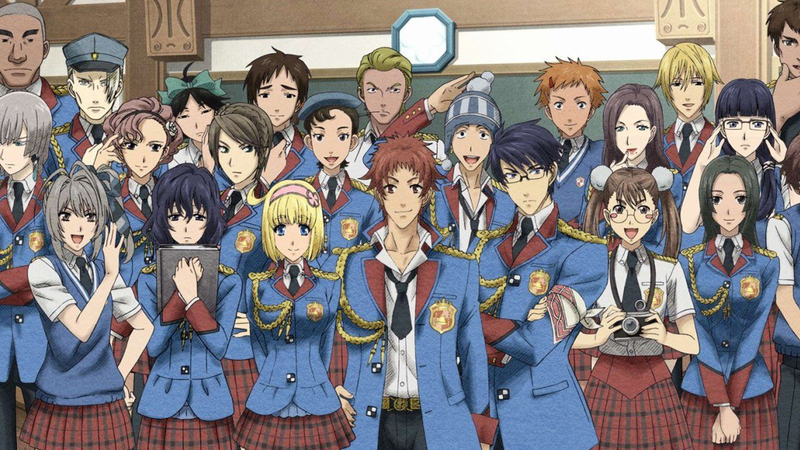 There were some Valkyria Chronicles 3 characters in this! That’s it. That’s all we really have to say about it. 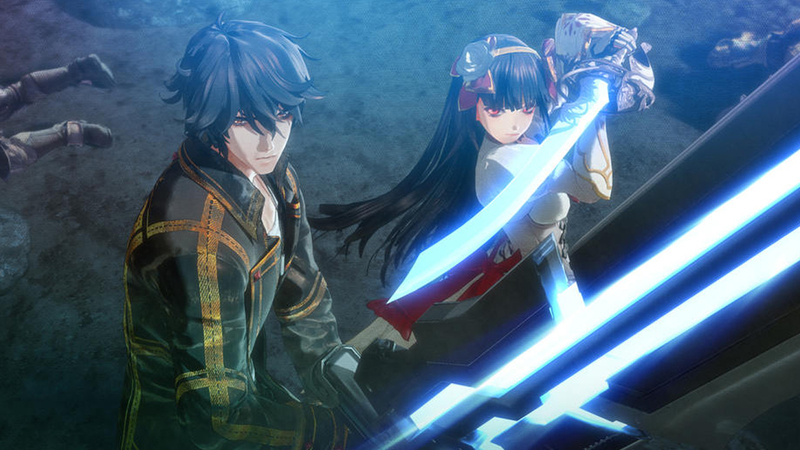 The game has some enjoyable aspects, and it’s cool that these characters were in a localized game in any form. This was a Japanese mobile card game! It was shut down years ago, but it’s on the list for the sake of being as complete as possible. It’s also here to add more space between the good Valkyria Chronicles games and the next entry, because we list these in order of recommendation and we think you’re better off not playing a game that doesn’t exist anymore than playing the game right below this. We really aren’t sure what happened here. This fantasy action-RPG just seemed to arbitrarily add “Valkyria” to its name and include vague ragnite references, but it shared nothing about the world, characters or — most importantly — gameplay of the series. It was not great, but it was localized anyway for some reason, and at least that part of things wasn’t handled poorly. We’re just happy that we got VC4 after this, and that Sega didn’t learn the wrong lessons from this game’s failure. For more helpful information, check out our other guides.